As we’ve written before – there is no stagnation around Sanna-Lisa Gesang-Gottowt. She is not only a talented artist but an innovator with great visions and enthusiasm. 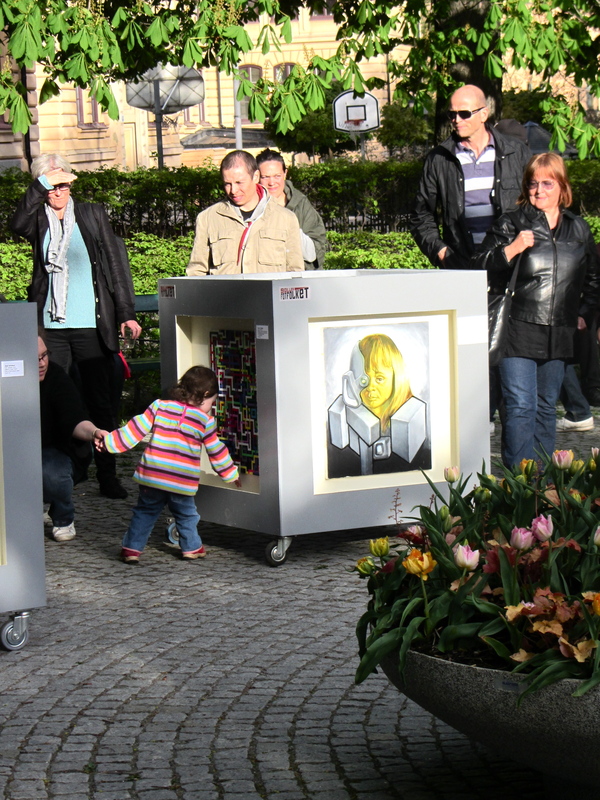 Last Friday, Sanna-Lisa opened Galleri Fotfolket, a mobile gallery consisting of three “art boxes”, carried around by people strolling in public spaces — on streets, squares and in parks. 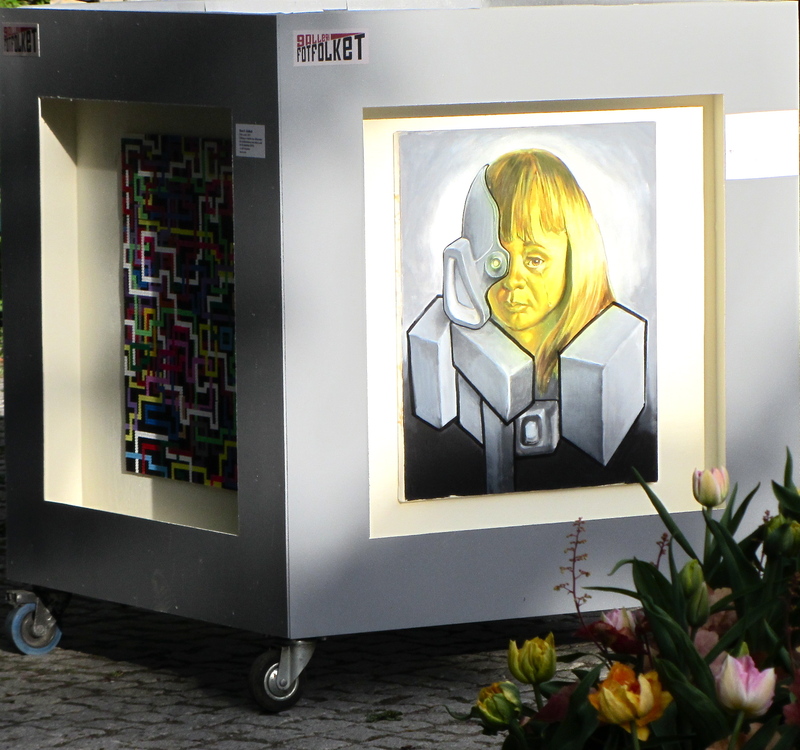 The aim of the gallery is to show alternative ways of exhibiting art as well as stimulating thoughts and questions about the role of art in public spaces. 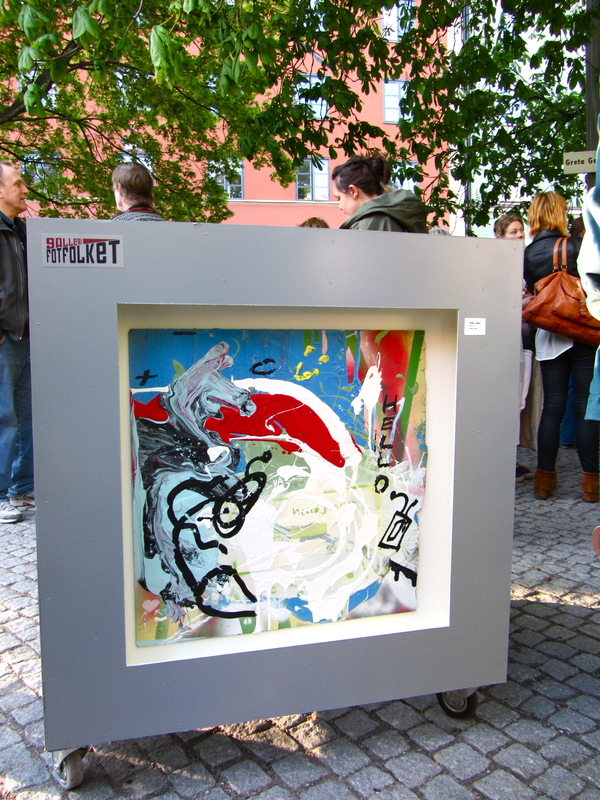 Even thought the gallery has no problem of being a part of the discussion on what street art is and can be, Sanna-Lisa and her team do not see Gallery Fotfolket as a part of the street art genre. Rather — the gallery wants to explore the opportunities of public spaces and let the art become a part of / and seen by everyone that use these spaces. The idea of the gallery grew from Sanna-Lisa’s frustration of not feeling artistically involved in the city. Moving home to Stockholm (after living in Portland, Oregano, for 8 years) Sanna-Lisa was surprised over the differences of what is and isn’t allowed in the public spaces of those two cities. Portland has a vivid art scene including everyone who want’s to be a part of it — while Stockholm is known for its zero tolerance when it comes to street art and graffiti (see more here & here). And as a consequences, this makes the whole debate of art in public spaces even more complicated. 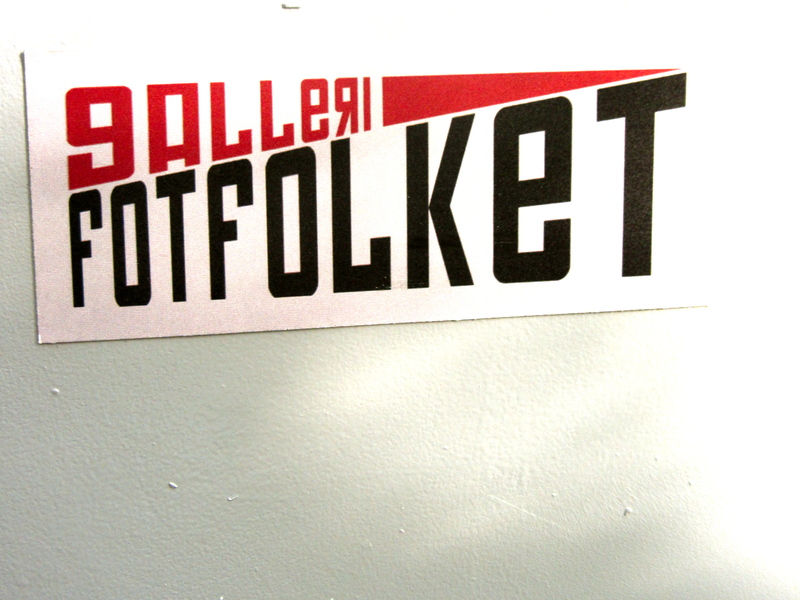 However and beside “zero tolerance” Galleri Fotfolket’s take off seemed successful and many people showed both interest and positive responses on the opening night (read articles in Swedish here and here). The first exhibition, “Avstampet” (The take off) shows artwork by 12 artists from Sweden and USA and will be on-going during the month. 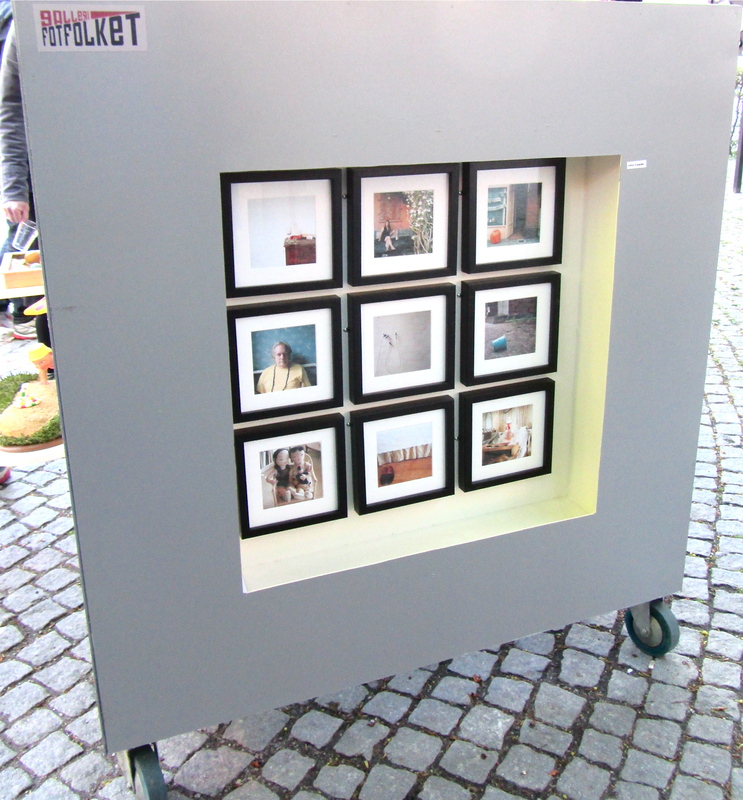 So — if you’re in Stockholm, keep your eyes open for “two-legged” art boxes! Konsthopp loves the initiative and sends Sanna-Lisa a big congratulations! 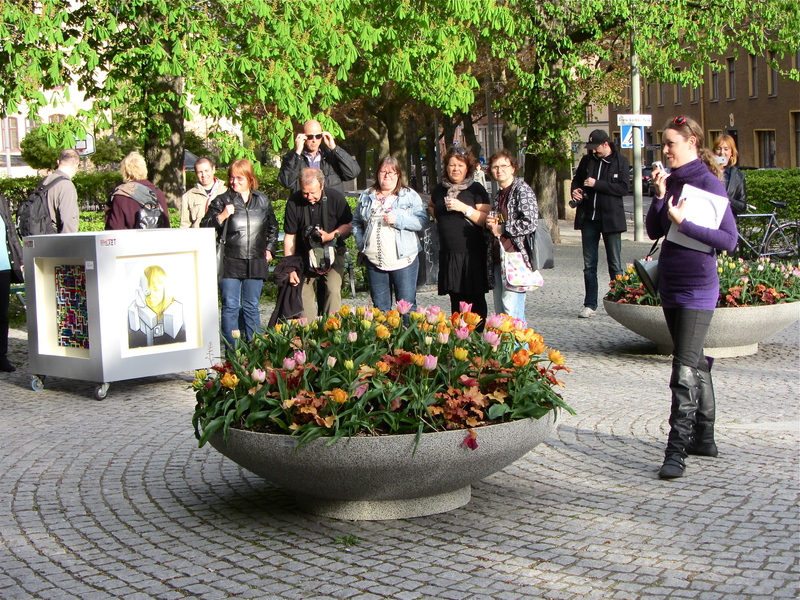 Artists: Shora D. Goldkuhl, Stefan Niklasson, Gustav Engström, Hello Jenka, JoAnn Kneedler, Max Magnus Norman, Mack McFarland, Michael Chambers, Ola Carlberg, Rickard ”magOwl” Falk, Rochelle Kulei.